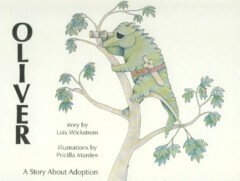 Oliver: A Story About Adoption First published in the Christian Science Monitor, this is the story of an alligator-like creature. Oliver, who when being punished, wonders who his real parents are and how his life would have been different if he had lived with them. Food Conspiracy Cookbook How to Start a Neighborhood Buying Club and Eat Cheaply. Lots of semi-health food recipes, such as whole wheat chocolate chip cookies, plus instructions for starting a neighborhood buying club. Ladybugs for Loretta Through a loving relationship with her parents and her garden, Loretta learns about the life cycle of ladybugs. Winner of the 2000 Independent Ebook award for Children's Literature. Now available in paperback. Copies are $10 including shipping. Write cormo@juno.com for more information. This video shows ways to stop pain without using drugs. Most muscle pain and headaches stop in just a few minutes if you know where to put pressure. The tape calls for two tennis balls that you lie on to create pressure on most of the points. You can use your thumbs for the others. Spiritual Enlightenment by Jed McKenna. On the surface, this book records a week in the life of an enlightened American in Iowa. Woven into that week are instructions on how to achieve that enlightenment yourself. Following these instructions, I had the most profound experience of my life. Here they are: Every day, for at least 5 minutes, write on the topic: Who Am I? or What is me? Begin with Am I this body? Am I these thoughts? Am I these feelings. After that, you are on your own. It does not matter what your answers are, or if they change from day to day. Continue this practice for two years, or until you get the answer. Finally, the Sedona Method is available in a book. This technique works to help relieve stress in any situation. Interesting techniques to improve your memory and creativity. The only time you ever have is now And Tolle's philosophy is very different from Descartes who said: "I think. Therefore I am." Tolle says, "I can stop thinking. That's when I am." This is the first non-religious explanation I've seen for what are usually attributed to spiritual phenomena. Yogananda was the first teacher from India that I know of to bring Kriya Yoga to the west. This is the story of his search for a guru in India, descriptions of the fantastic men and women he met, learned from, and taught, including Luther Burbank and Mohandas Gandhi. Well written and engrossing. F. Batmanghelidj was an Iranian doctor sentenced to death as a political prisoner under the Shah. His work with water, curing ulcers, headaches, and other ailments saved his life. Here is his story of how he uses water to promote and restore health. The Bates Method for Better Eyesight Without Glasses/With Eye Chart William Horatio Bates did the original work on eye exercises to improve vision. Yes, eyes use muscles to see, and yes you can exercise them to help them work better. Skip the introductory chapters and do the exercises. Relearning to See Thomas R. Quackenbush is a student of Bates, who writes better than Bates. This book is more thorough and more fun than Bates' book. It also costs more. This book is particularly valuable if you are over 40 and want to regain youthful eyesight. This is NOT a book about marital divorce. Finley says no one can betray you. You simply had a false idea about somebody. Finley defines two ways of thinking: the Free Mind and the "me mind" and he teaches how to choose the Free Mind. Meir Schneiders Miracle Eyesight Method Some of the basic Bates eyesight exercises on audiotape. You can follow the instructions to do the exercises while you listen. Menopausal Years Alternative Approaches for Women 30-90 (Wise Woman Ways) by Susun S. Weed. Diet advice and herbs to maintain health through menopause. Weed also has books for pregnancy and breast care. Herbs to help women be healthy and comfortable during pregnancy and nursing. The Herb Book Quite simply, this is a thorough introduction to herbs that grow in North America. John Lust, the author, is cautious and gives warnings about proper use of herbs both internally and externally. Metamorphosis (Star Trek : The Next Generation) by Jean Lorrah. Jean is a story teller and you can count on her for a good read. The next book is by her also. Survivors: (Star Trek: The Next Generation,No. 4) Another good read by Jean Lorrah. Better Health With Foot Reflexology This is the best book Ive found on foot and hand reflexology. It shows you how to position your hands to support and protect the foot, and how to get pressure without hurting yourself. Is That Your Sister A beautiful but simple book about interracial adoption. Supporting an Adoption Friends and family are often not enthusiastic about an adoption and usually dont know what to say or do. Help them! Dont Call Me Marda Adopt a retarded kid! Why would anyone want to do that -- especially your own parents? Told from the perspective of an eleven year old. Our Child: Preparation for Parenting in Adoption - Instructor's Guide A detailed curriculum guide for those who believe in preparation-for-parenthood education. Designed specifically to meet the needs of couples who build their families by adoption. Blue Ridge An adventure story of two boys 12 and 13 (one adopted adopted as an orphan at age 12.) A just plain good read.